The Pima are believed to be descended from the Hohokam, a prehistoric people who lived in Arizona prior to 8000 B.C. By the time of the first Europeans in America, the large Hohokam civilization was reduced to small villages. 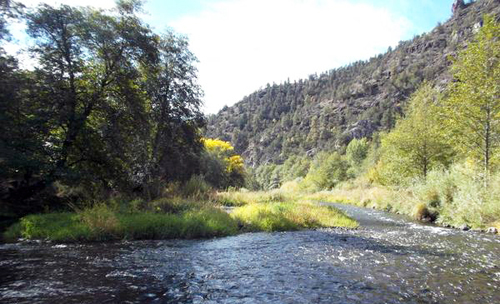 The Maricopa shared the Gila River with the Pima. In the 19th century, Anglo settlers diverted the river for their own crops. This caused to the Pima and the Maricopa to move to reservations. 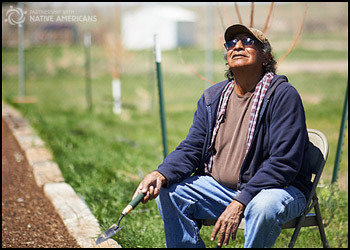 The Gila River tribes still maintain an agricultural economy. 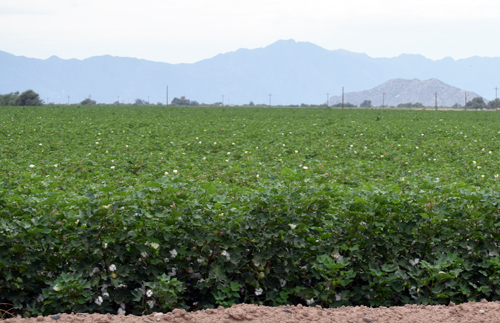 Their crops include cotton, wheat, alfalfa, barley, melons, pistachios, olives, and citrus. They also operate fertilizer and grain storage facilities and a cotton gin. The community operates a few stores and a gas station, plus an arts and crafts center and a museum. Memorial Airfield is located in the community as well. Health care is provided by Indian Health Services with a 20-bed health center. Half of the men and women of the Pima tribe are diabetic and 90% of them have diabetes by the time they are retirement age. Many of them suffer from obesity.